Samardzich will "play a critical role in future development of global cars such as the Focus," a Ford spokesman said. 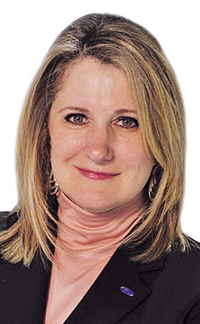 DETROIT -- Ford Motor Co. is expanding global product program chief Barb Samardzich's duties to include head of product development for all of Europe, the automaker said. Samardzich, 52, will keep her job as vice president of Ford's global product programs -- a position she's held since Jan. 1. She will take on the additional duties on Sept. 1, Ford said. In her new role as vice president of product development for Ford of Europe, Samardzich will "play a critical role in future development of global cars such as the Focus," a Ford spokesman said. Ford's global car platforms are developed in Cologne, Germany. Samardzich, who will relocate to Europe, will continue to report to Derrick Kuzak, Ford's group vice president of global product development as well as to Stephen Odell, CEO of Ford of Europe. She replaces Frank Davis who served in the post since Jan. 1. Davis is being transferred to a new role in North America. Kuzak previously held the job as vice president of product development in Ford of Europe. During his stint, he led design and engineering of vehicles that accounted for a major portion of the European market and significant growth areas in the world's emerging markets. Samardzich's other job as head of global product programs requires her to launch all Ford and Lincoln products on time, within budget and that meet internal quality and safety targets. Samardzich joined Ford in 1990. She has held several product-development positions. Most recently she was vice president of powertrain engineering from 2005 to 2011. She also served as executive director of vehicle product development from 2002 to 2005 and chief engineer for F-series Super Duty commercial trucks.